Any of the handmade flower/ruffle headbands can be made to fit an adult, just let me know what you are wanting in an adult size and I'll get right to it, don't be afraid to ask. 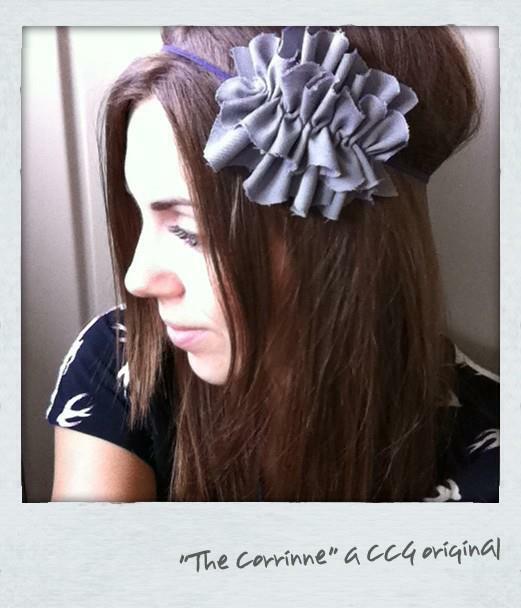 Layered, gray ruffle on headband of your choosing. Shown here on super thin, purple elastic, can be made as a clip or placed on a hard headband.